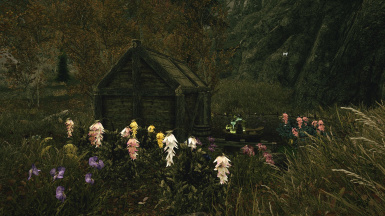 Technicolor Alchemy Overhaul Flora by mobiusbelmont is a nice mod which add more variety to Skyrim's flora. Patch which merges CACO & Technicolor Alchemy Overhaul Flora form list. jchernandez for his huge amount of work which extended features of my mod beyond than i've originally made. [*]Added CACO's harvest amount variation. [*]Fixed naming, value, weight, potency and effects of ingredients towards CACO's standards. I avoided restore & damage (health/magicka/stamina) effects as this requires them to be added to a custom list which may conflict if you have other patches that edit those lists too. They have more variety in effects but are still very potent I believe. I used caco's spreadsheet and used the next value after the default value of an effect. [*]There are missing pick up and drop sounds in ingredients, added those and corrected the other ingredient's incorrect pick up and drop sounds according to vanilla and CACO records. [*]Fixed Seasonal Production on all new Morrowind ingredients. [*]Added missing Keywords for some ingredients and new Morrowind flowers so they can be gifted to your children/sold to the correct vendors. [*]Added all flowers of Tundra Cotton, Dragon's Tongue and Snowberries to the hearthfire adoption junk list so your children will have it in their treasure chests. 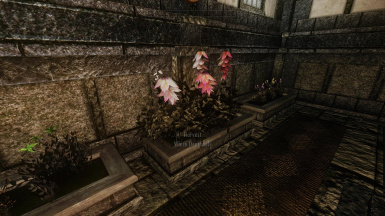 [*]Added all plantable flowers as common and new morrowind ingredients to uncommon Apothecary levelled list. I carried over the CACO changes so if you have only CACO that add to the apothecary levelled list then you don't need to renew your bashed patch but it is recommended. [*]Nerfed all new ingredients from Morrowind toward CACO's records (value, weight, potency). The ones that are not in CACO's list(GoldenKanet,Belladonna,Willowflower), I used the old Morrowind equivalent (source:UESP.net). [*]Renamed some Thistle Trees to their missing colored names. [*]Replaced all duplicate ingredients acquirable from some trees for its plantable item equivalent. This fixed some floras giving the wrong flower as well. [*]Added missing Colored Dragon's Tongue, Tundra Cottons, Orange & White Mountain Flowers, and some Morrowind to plantables. 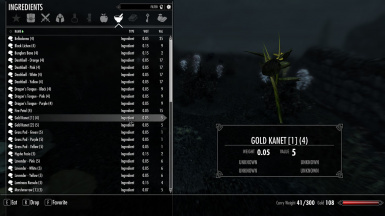 [*]Replaced the 4 types of Marshmerrow ingredients to a unused marshmerrow ingredient mesh from the solstheim folder. [*]Edited the 2 types of Saltrice and Stoneflower ingredients to use a mesh from CACO. 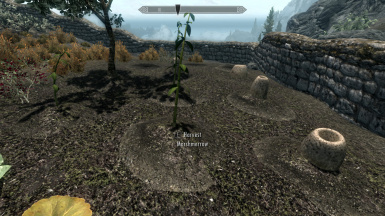 [*]Edited the meshes of 4 types of Marshmerrow and made it smaller by 30% to be used as plantable flora. [*]Edited flora meshes of Bunglers Bane, Hypha Facia, Violet Coprinus and Luminous Russula to fixed, they won't move anymore if you stepped on them. [*]Added ("(D)")suffix to names of the duplicate ingredients. Useful if you are currently using TAO in your game and want to identify the ones you can't use in planters anymore or use/trash them since you won't find any more of this duplicates. 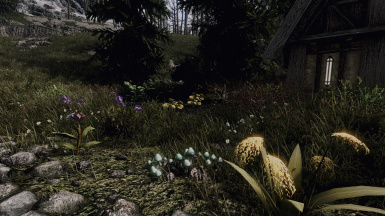 Technicolor Alchemy Overhaul is a nice mod by mobiusbelmont which adds 2000 rare and colorful variants of alchemy plants manually placed in all locations across Skyrim. Install as usual, this mod can be merged by using Merge plugin. Take a look at mobiusbelmont's ENb preset, they are nice and works very well ! !